FOX has announced its premiere dates for the upcoming 2017/18 season, including season five of Brooklyn Nine-Nine. 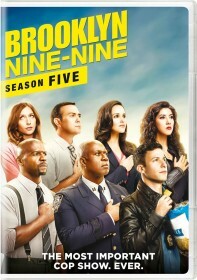 The fifth season premiere of Brooklyn Nine-Nine will air Tuesday, September 26 at 9:30/8:30c. Earlier that night, FOX will also air the second season premiere of drama series Leathal Weapon and the second season premiere of comedy The Mick.